Today was a day off for moi, so I decided to crank the tunes, make an iced chai latte & create a crafty mess on the dining table. 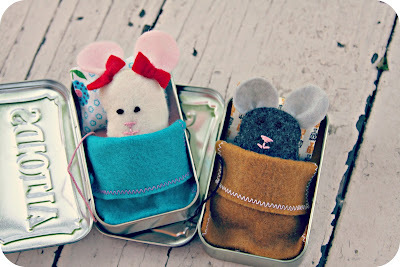 I finally got to make these little mice I have saved on Pinterest. View them by clicking HERE. 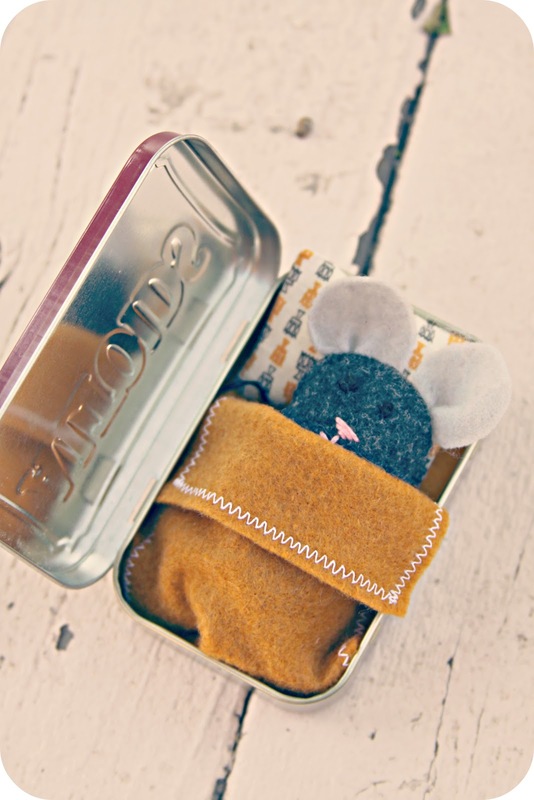 There's no tutorial, but you can purchase a PDF pattern in mmmcraft's Etsy shop HERE. I just eyeballed things & made my own. Not as cute, but effective. (I chose to go limbless.) I even made a pillow with a pillowcase. I sorta messed up on Zoey's white mouse. That poor little creature has the highest forehead. (I placed the facial features too low.) I tried disguising the vast head space with 2 big red bows. But that didn't work either. Zoey says she loves it. And she is certain hers has a bigger brain than Pazely's. 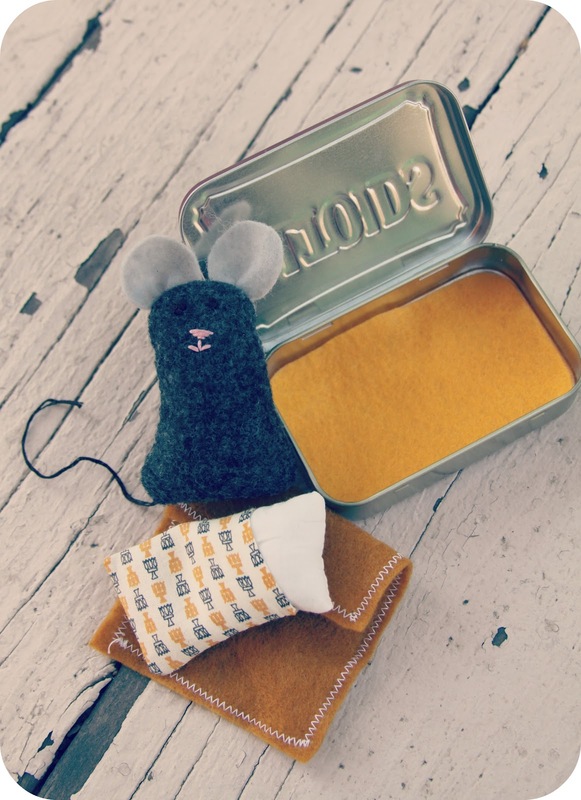 I couldn't go to sleep tonight without making Zoey a new mouse. (Even though she said she loved the original one.) I think I have redeemed myself. Phew! Crafty fail averted! 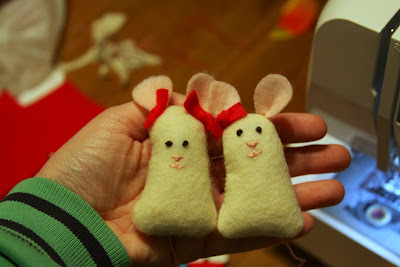 The mouse on the right is the new one. And I just realized what the mouse on the left reminds me of. Have you seen Saturday Night Live "The Lawrence Welk Show" skits? They are my most favorite EVER. Take a look HERE. HAHAHA! I laugh so hard at those.